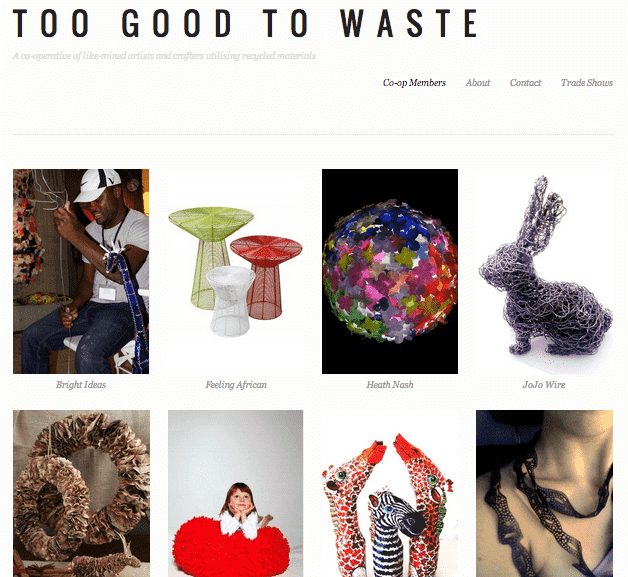 Too Good To Waste (TGTW) is a co-operative of artists and crafters using items salvaged from the rubbish pile to create unique products and art pieces. “the WREN design” is proudly a part of this terrific group. Go and check out our website. Special thanks to Keri from Simple Intrique for building it! This entry was posted in Blog and tagged art, co-operative, Craft, Design, Recycle, Rubbish, salvage, South Africa, too good to waste, upcycle, Western Cape.